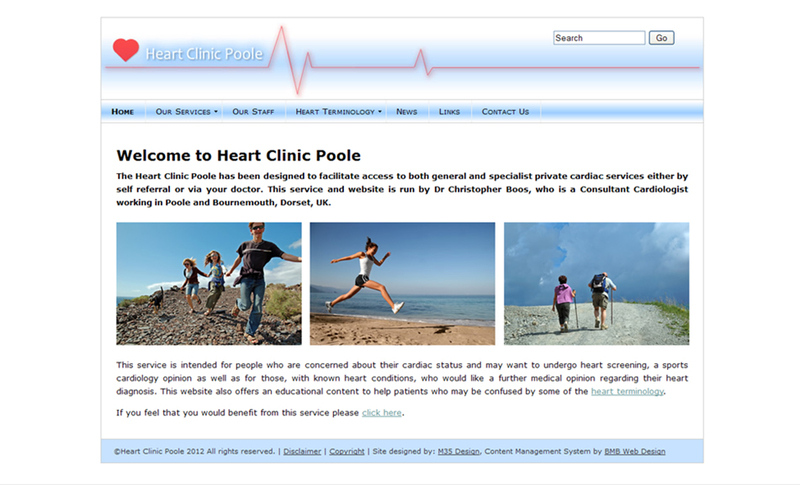 Heart Clinic Poole is the website of Dr. Christopher Boos, who specialises in cardiology services and is based in Poole, Dorset. Dr Boos wanted a website to promote his cardiology services. M35 Web Design – in conjunction with BMB Web Design, who built the content management system – was pleased to be able to get this up and running for him within a very short space of time. M35 Web Design provides web hosting, domain name registration/management and Google Analytics.